Veterans National Property Services is the go-to company for homeowners in the Tampa Bay area who need their existing roof replaced or repaired, or who need a roof constructed for a new house. We are a minority-owned and Service-Disabled Veteran-Owned Small Business (SDVOSB) that places an emphasis on providing customers with excellent products and installation services. From the first call to our office to the final walkthrough, you’ll be blown away by the level of personalized service you receive. Furthermore, we are an Owens Corning Preferred Contractor, meaning our in-house technicians display superior skill and knowledge pertaining to this material. 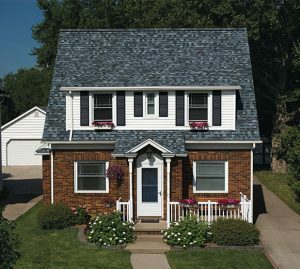 Whether you’d like your home to have a unique rustic charm or a classic colonial feel, our IKO roofing systems are sure to meet your needs. Furthermore, our roofers are also ShieldPRO Plus+ Contractors which means they have a superior knowledge of IKO roofing materials and have the necessary skills to install them perfectly the first time. For those looking for something other than traditional asphalt shingles, we also offer metal and tile roofing systems. A metal roof is a great choice if you want a long-lasting product that can be recycled at the end of its lifespan, while our tile roofs are ideal for those who want a distinctive Mediterranean flair for their homes. Whatever you require for your home, VNPS is prepared to get the job done. If you would like to learn more about our residential roofing services, contact Veterans National Property Services today. When you do, you can ask about our comprehensive financing options that we offer to all qualifying homeowners. We proudly serve residents in the Tampa Bay area.